The identity of the Magi, the nature of the star they followed and when it all took place has been subject to debate for centuries. We cannot even be certain that the event took place at all in the historical sense. Personally, I doubt that it did. That doesn’t take anything way from the power of the symbolism and the bringing together of divergent traditions. Our vision of what occurred will be evocative rather than definitive and the language we use will be the language of the stars. We know that Persian Magi were familiar with the Judaic prophecies of a Messiah. or a Great King. 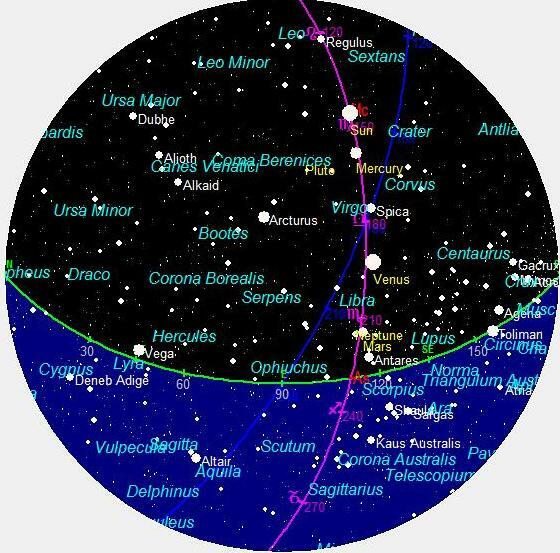 There were celestial events in the Summer of 7 BC that would not have been missed by watchers of the heavens. For a brief time all the planets and luminaries, with the sole exception of Saturn, were in their own domiciles while Saturn and Jupiter were conjunct in Jupiter’s domicile of Pisces. These conjunctions happen approximately every 20 years. The Superior Conjunctions have been watched with great interest since early antiquity. They are part of even larger cycles that auger for social change of some sort, including the birth of a great King. 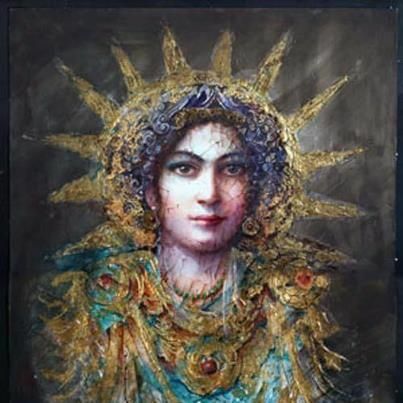 Ahura Mazda is the Iranian sky god, the Lord of Wisdom. He is the creator of the sky, water, earth, plants, animals, and fire. Persian Kings believed Ahura Mazda to be their special protector and equated him with Zeus. He was also equated with the gods Yahweh and Bel. As Ahura Mazda is the giver of kingship. He is Jupiter. 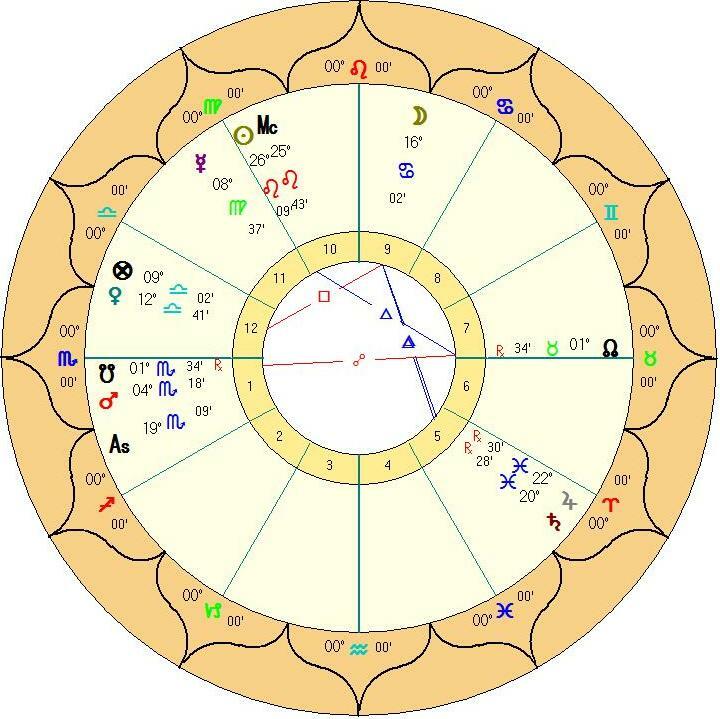 In the chart below, we find the Sun on the MC in his own domicile with Regulus. The previous Superior Conjunction had been in Leo. There was a change in triplicity but the water triplicity went back to 165 BC. The chart for the Superior Conjunction in Pisces as seen on 22 August 7 BC. with the Sun in his Domicile of Leo and Regulus conjunct the MC. All planets and luminaries other than Saturn and in their Domicile, but not their Joys. The same chart shown as a sphere. There are Zoroastrian legends about the Star of the Magi, that identify it as Tishtrya, or Sirius, the star whose heliacal rising coincides with the annual inundation of the Nile. The period following this is an important Egyptian festival known as the Lights of Isis. Kepler had made much of the Superior Conjunction. Occurring in Pisces it made for a particularly attractive proposition as the candidate for the Magian star. However, Kepler later had doubts about his theory because it appeared that the conjunction wasn’t visually close enough to give the impression of a single star. The astronomer Roy K. Marshall illustrated in his booklet The Star of Bethlehem (1949, Morehead Planetarium) that Jupiter and Saturn, throughout the period of their proximity, were never closer together than twice the diameter of the Moon as it appears in the sky. The chart I present should be of interest for several reasons, all of which depend. to some extent. 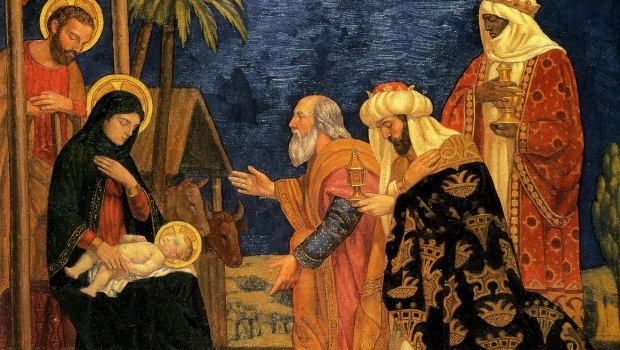 on the orientation of the Magi themselves. It ought to be one of the charts considered in relation to the Adoration. Finally, it is not strange to be reminded of Exodus 13:21-22. The light followed is a theophany which is exactly what the Magi would follow. “And the Lord went before them by day in a pillar of a cloud, to lead them the way; and by night in a pillar of fire” (KJV) Epiphany and Theophany are core to the story of the Magi. I’m working on the assumption that you read parts I & II. Please enlighten us. A statement like “you seem to know very little” tells us nothing. That’s why I focus on the symbolic nature of the Adoration of the Magi. Historically accurate or not, the fascination with the story has endured. For example, I mentioned the paintings done for the Medici, with family members shown as Magi. I’m not sure what you mean, regarding getting your hands on the astrology. This is a three-part article and each one addresses the astrological elements. Is there something n particular that you had difficulty understanding?. i was of course referring to the Magis’ practice of astrology!